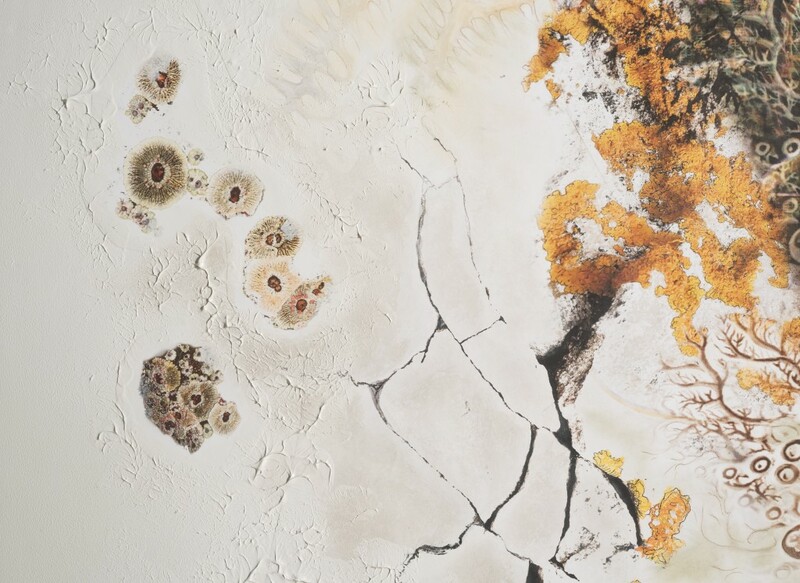 Genetic Drift is a family of three Symbionts, which share a few similar antecedents but are also deliberately distinct in their primary genetic morphology. 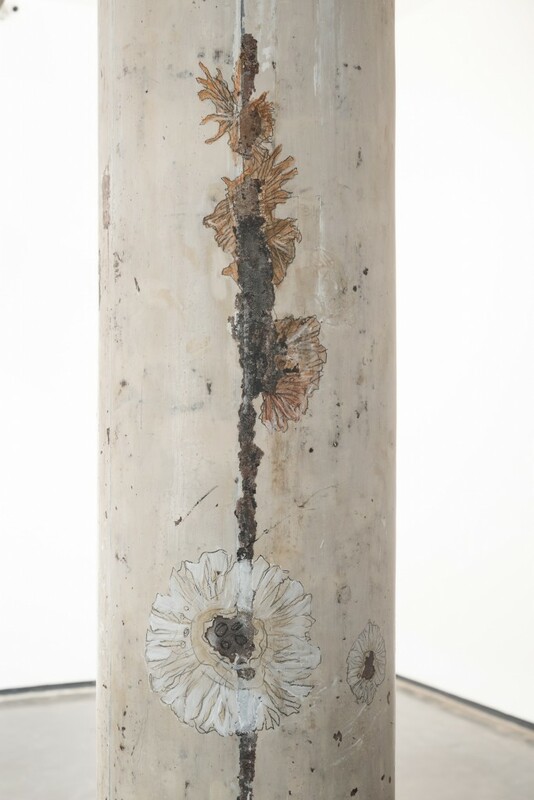 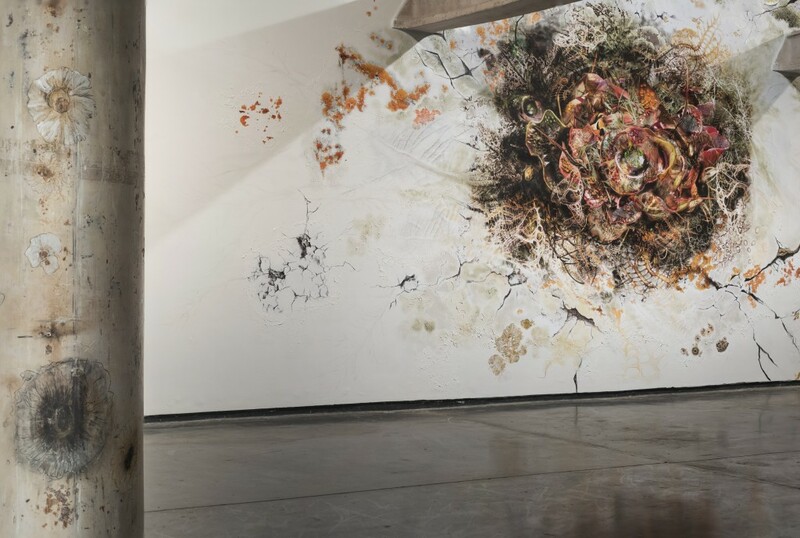 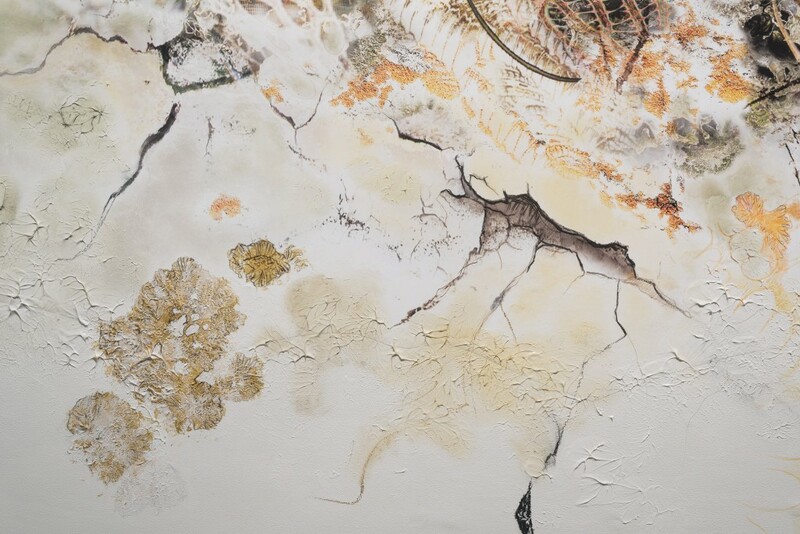 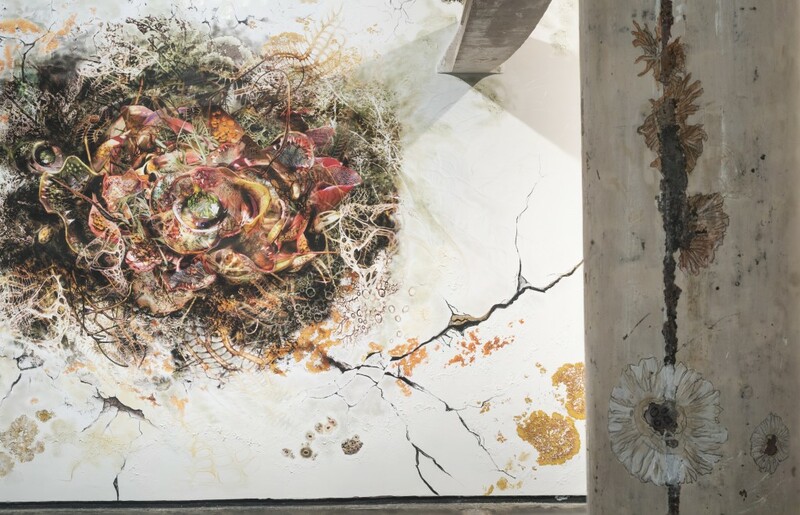 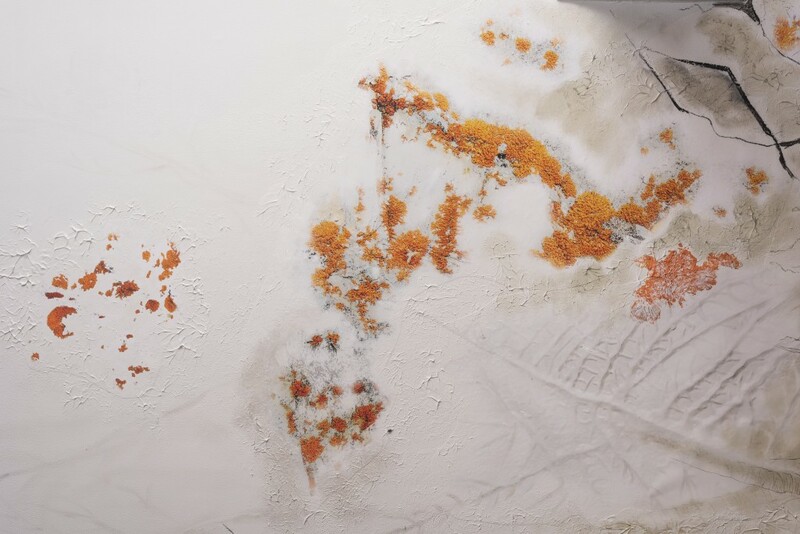 The base of SYMBIONT II – Cavum Oris Plantae (mouth plant) seen at Project 88 as part of Hopeful Monsters, is a composite of a variety of flowering plants and pitcher plants. 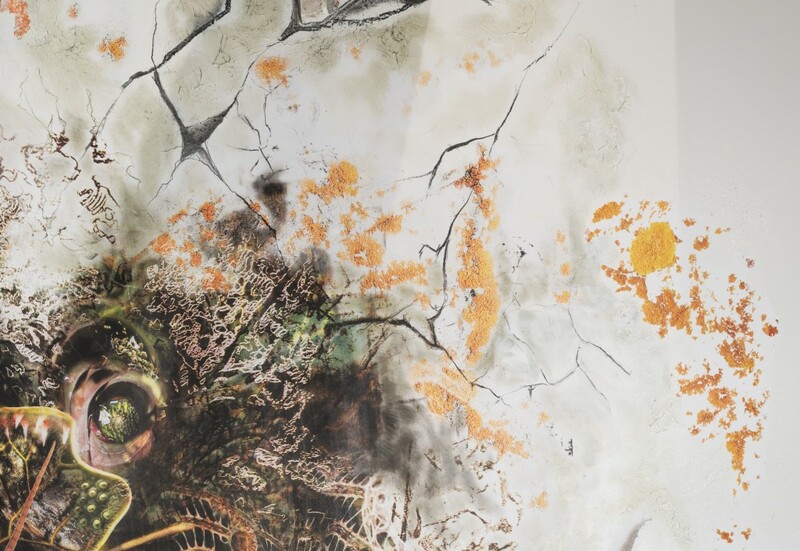 All the pieces were constructed with photographs sourced from public domain sites in addition to photographs I have taken on visits to Botanical Gardens etc., in addition to scans of drawings, etching etc. 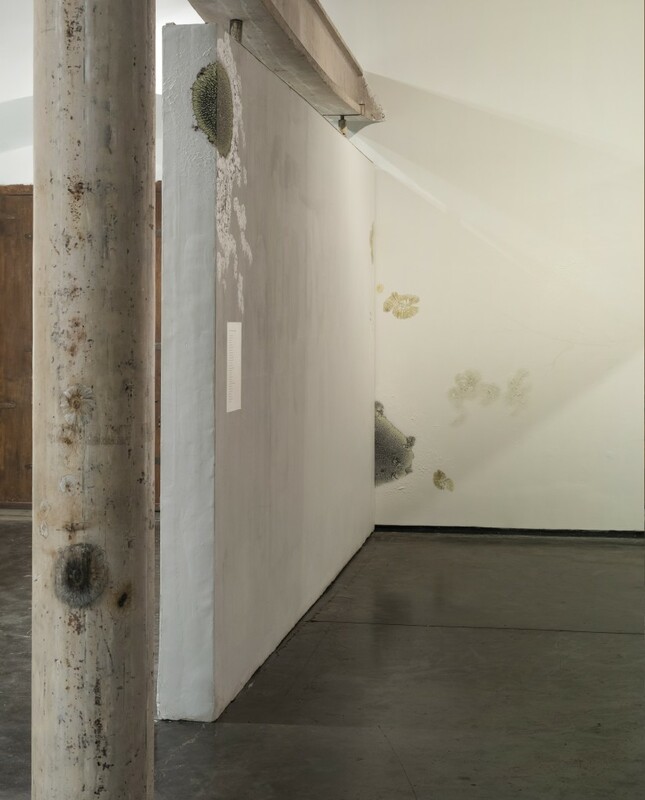 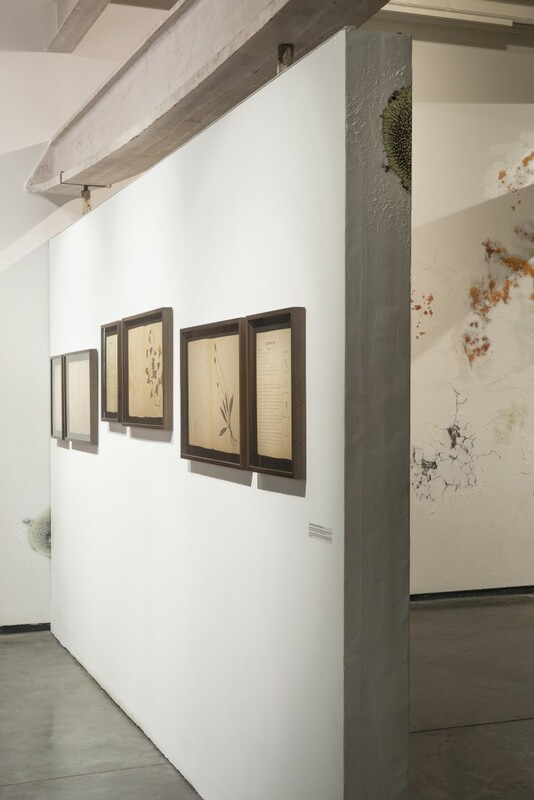 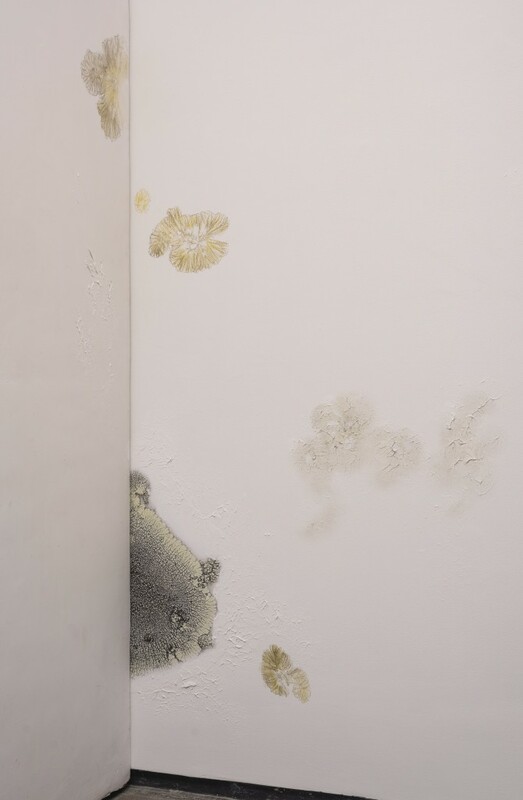 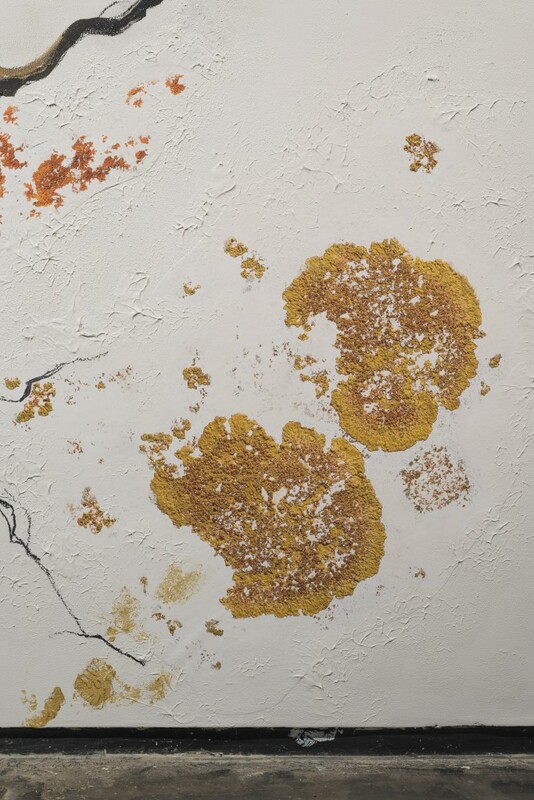 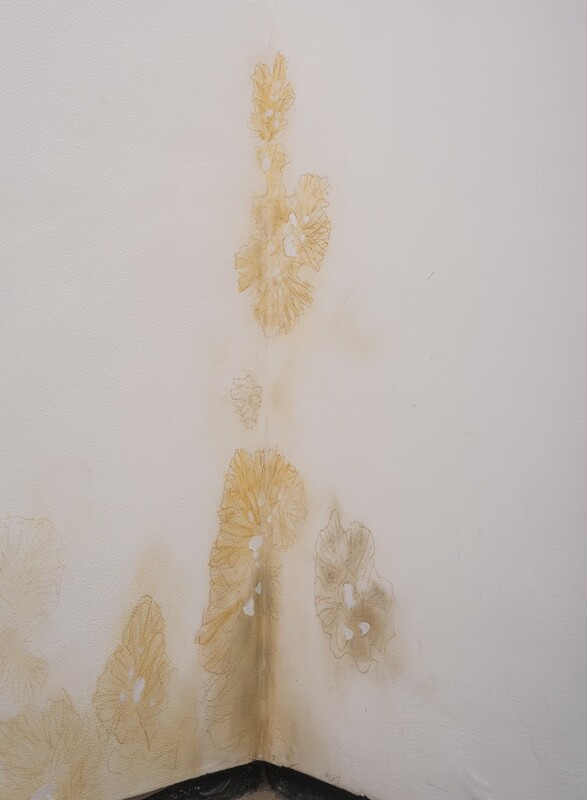 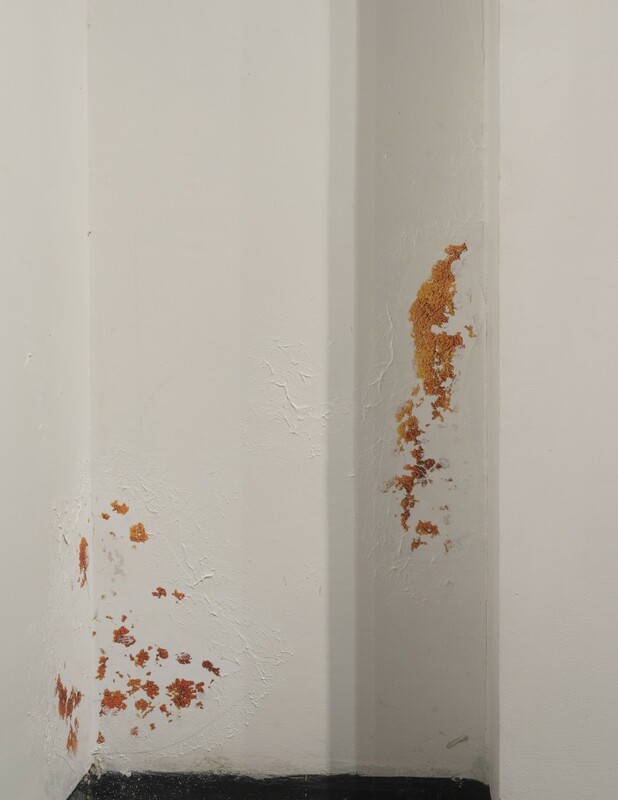 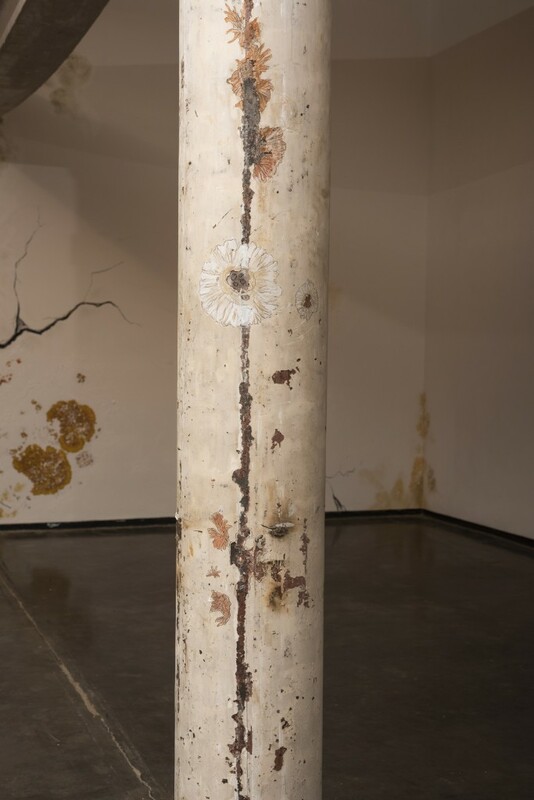 The work includes drawings both on the prints and on the wall which suggests a kind of proliferation or contamination beyond the boundary of the work.